For a Prepper in a Cabin in the Woods a Power Outage is No Sweat. But It’s a Different Story in the City. Urban environments are heavily dependent on infrastructure to deliver basic comforts and needs like water, electricity, natural gas for heating and cooking, and municipal services for security and medical emergencies. These urban environments can become very dangerous when there’s no electricity and the municipal services are compromised or over-taxed. 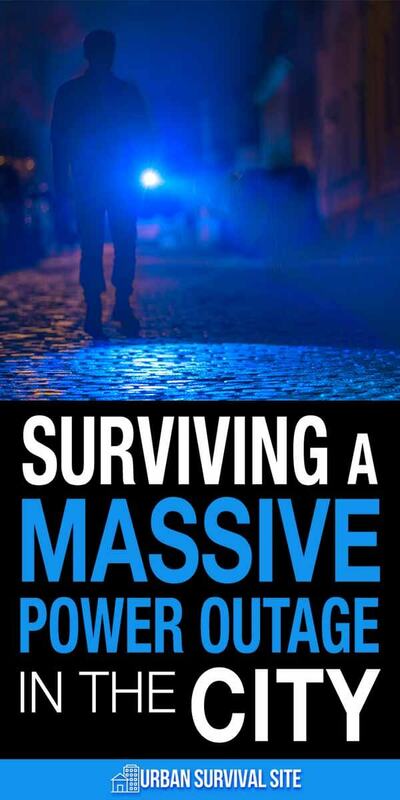 People surviving in suburban and especially rural environments often have a better advantage when it comes to enduring a massive power outage. Many suburban homes and most rural homes and homesteads have fireplaces and/or wood-burning stoves for heat and cooking. That’s rarely the case in urban environments. Water can be surprisingly available if the suburban or rural locales are gravity fed by water towers, but the dependency on electrically powered pumps in most cities and even in rural areas that depend on wells can present water shortages. Lighting at night will be a significant challenge, but as the Great New York Blackout showed, headlights from cars often guided people on the streets, at least in the early hours of the evening. Outage radius is the extent of the outage measured in blocks or miles. If the outage only affects one neighborhood or street, the threat is minimal and the odds are that power will be restored quickly. Even if it’s not, neighbors or family members in the proximity can provide relief in terms of fresh water, hot meals, shelter, and other basic necessities. If the city is dark as far as the eye can see, things could get serious very quickly. Duration is the amount of time that an outage lasts. Most localized outages last an average of a half hour to three hours and are usually caused by weather. The threat level of a short-term outage is minimal even over a large outage-radius. The real problems emerge as time goes on and the electricity stays off. Most families feel true stress after a second night without power. Imagine a month or more. As time goes on, there are usually resources set up to provide basic services but they can become easily overwhelmed. Smart preparedness can help you and your family endure. A massive solar storm struck the northeastern parts of North America in 1989 and caused a power outage that lasted for months in many parts of Canada. Ice storms across North America continue to cause blackouts measured in weeks. This is a significant challenge due to the threat of cold winter weather and a fundamental need for heat. It sounds like things can get desperate fairly quickly, but you can prepare. There are several steps you can take, even if the situation isn’t that desperate. For example, you can switch off all the circuit breakers in your breaker box immediately after an outage. This will help avoid a massive power surge when the power comes back on. A gas-powered generator, solar panels, and batteries for storage, or a whole house generator powered by natural gas offers the most direct solution to a power outage. The duration will be a critical factor if you are running a generator on gas, but natural gas lines run under their own pressure and solar panels will generate power as long as the sun shines. With the exception of a whole-house natural gas generator, you will probably have to prioritize electricity to critical needs such as refrigeration, heat, minimal light, and communication. It’s also important to note that solar power will do little to run a refrigerator or space heater unless you have a massive solar array. Unfortunately, not everyone will have one of these alternative power sources, but there are still intelligent options to pursue during a long power outage. We can survive two days without water to drink. If the faucets have run dry, things can get bad very quickly. Water is also critical for sanitation, especially when it comes to the simple act of flushing a toilet. Here are some preventative and proactive steps you should take. Fill the bathtub and sinks with water for flushing toilets, hand washing, and washing dishes. A bucket in the bathtub can easily be used to refill the toilet water. Fill empty water bottles or other containers with water for drinking. Buy some collapsible water bottles and tuck a couple of them in a closet. You can use them over and over again as water becomes available. Buy a tarp and some 5-gallon buckets and figure out a way to harvest rainwater in your yard or even off of a high-rise patio. Purchase a water purifier that will allow you to easily filter any water you have captured in nature. If thawing snow or ice for water, use your 5-gallon bucket and thaw it in the warmest spot you can find. Be alert for water distribution from Emergency Management Agencies or the National Guard. Remember the water heater. Your water heater can hold anywhere from 30 to 100 gallons of water that’s suitable for any use from drinking to bathing to sanitation. Whenever the opportunity to add water to your supplies presents itself, take immediate advantage. A rainstorm should be a call to arms to collect as much water as possible. You don’t know when it’s going to rain again. Find, collect, and inventory flashlights, batteries, candles, matches, lighters, and other items necessary for light. Buy a flashlight that is solar-rechargeable and/or can be powered by a hand crank. Buy a solar battery recharger and rechargeable solar batteries for common battery types and sizes: AAA, AA, B, C, D, etc. Many dollar stores sell solar charged outdoor lights. You can use them throughout the house or apartment once charged and they will usually last all night. Consider LED flashlights and lighting sources. The amount of light they produce for the low amount of energy they use is extraordinary. You don’t want to run your cell phone battery down using the cell phone flashlight. Buy some small and powerful LED flashlights instead. If you feel an outage is imminent, use your freezer, water, and plastic bags to start producing ice blocks while you still can. Then you can use them to keep foods cool in the freezer, refrigerator, and in coolers. Remember that the cold weather can be your friend if you store foods outdoors on a back porch or patio in a cooler or another enclosed container. Frozen foods are good for 48 hours in the freezer and refrigerated foods for 24 hours in the fridge. The additional use of ice blocks either in the fridge/freezer or a cooler can extend shelf life. Eat refrigerated foods first, frozen foods next, and save packaged goods in bottles, cans, and boxes for later use. You should also assess your stockpiles of basic cooking fuels you might use like charcoal, propane gas, or firewood. Don’t use any of these outdoor cooking fuels indoors for heat. If you have a gas range, you will probably need to light the flame manually. Electric igniters won’t be working. If you have a significant amount of food that you are concerned will spoil before you eat it, cook it right away. Cooked foods will extend the shelf life and should be kept as cold as possible. Your decision to own a weapon for defense is up to you. There are also common-sense procedures to ensure you and your family are safe. Consider getting a firearm and whether or not you feel you can or will use it. Theft will be the most common crime. If you have anything of value, keep it out of sight and out of mind. That nice gas grill in the backyard might be filling the neighborhood with wonderful aromas, but how long will it take for someone to steal it? Lock your car and, if possible, keep it in a garage. Simple resources like firewood, tools, buckets, and other items will acquire value over time in a desperate environment. If you want it, protect it. Travel in groups and always indicate where you are going and when you will return, then stick to that schedule. If it all possible, never venture out alone. Beware the darkness of night. Work with your neighbors for shared survival, resources, and protection. There are solar chargers that are portable and can recharge both cell phones and laptops. If you have a car, you can use the cigarette lighter to recharge your phone or laptop if you have the appropriate car charger. Your car also has a radio for updates on local conditions, but use the battery power sparingly and run the engine from time to time to recharge the car battery. Don’t use up your gas for any unnecessary trips. You may need it if you bug out. You can find all sorts of walkie-talkie variations on eBay for a few dollars from Motorola TalkAbouts to old CB radios. The range is short, but if cell-phones go down, it’s an easy way to stay in touch in the neighborhood. Yes, the mail may go through. The post-apocalyptic movie, The Postman, put forward the idea that the mail service will survive. It may take months, but if the outage is continuing for that length of time, it may be a welcome resource. Local resources and municipalities will also offer varying levels of communication alternatives at central locations. Understand how your local emergency management agencies plan and operate. They usually offer these resources at an expected location like a town hall or county complex. Your location and time of year will determine how much of a factor temperature will become. Any outage in winter presents serious challenges with regards to heat. Here are some actions to consider. If you have a fireplace or woodstove, make sure you have a good stockpile of wood. Remember that old shelves, furniture in the basement, and various tree limbs can fill some gaps if the weather is bitterly cold and wood supplies are tight. Consolidate your living space into one or two rooms. You may not be able to heat the whole house or apartment, but once you have built some heat into a room or two it will be easier to maintain. If it’s a first-floor room with open archways to other rooms, use a blanket to close off the opening and retain the heat. If you have a gas range or oven, you have a heating alternative, but be careful. Most government agencies recommend against using a gas stove or range for heat. However, they never hesitate to encourage their use for cooking. You could split the difference. Never go to sleep with an open gas flame burning on a stovetop or oven, but pilot lights are okay. Cook something in the oven that takes time like a turkey or ham or even a lot of baked potatoes. Keep a large Dutch Oven of soup simmering on the stove top. The cast iron will radiate heat and the soup will help as well. Place cast iron utensils on the stove top and in the oven and raise them to a high heat with no food inside. Shut off the gas and allow the heat stored in the cast iron to act as a heat exchanger to raise the temperature. You can even carry these hot, metal heat exchangers to your isolated room or rooms to deliver the heat. Make sure you place them on a fire-proof surface. Dress and sleep in layers and with others. A bed can become a very warm place with proper blankets and insulation, and a shared bed will be warmer as our bodies generate heat under the covers. Wear a hat while you sleep. A stocking cap is best, but we lose 40% of our body heat through our heads. Keep your head warm at night. If it simply gets too cold regardless of your efforts, it’s time to consider a bug out strategy. Free-standing homes or bungalows with a yard. Smaller apartment buildings ranging from 2 to 6 stories. High-rise apartment buildings up to 90+ stories. 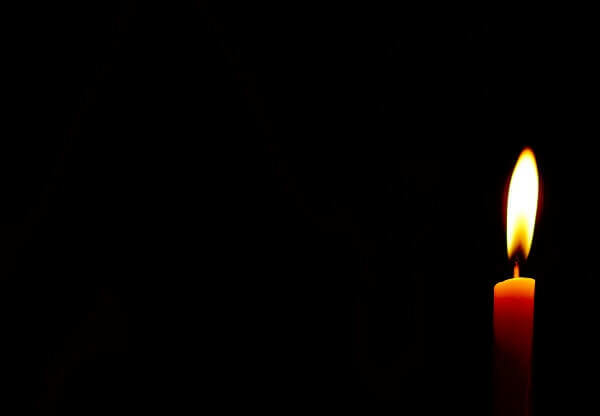 The greatest challenge when it comes to surviving an urban power outage occurs in the high-rise apartment buildings. The first failure point is elevators. If you live on the 78th floor and the elevators don’t work, you are going to be faced with a major if not impossible challenge during a long-term power outage. The second failure point is no exterior property. No yard or balcony for collecting rainwater or cooking outdoors. What will become apparent to many high-rise dwellers is that the best strategy for surviving a long-term power outage is to bug out. Do you know anybody at your bug out location? Do they know you are hoping to join up with them? Are you aware of their resources and what they will have to offer such as shelter, food, water, heat, first-aid, and defense? Do you have the resources to reach your bug out destination such as a suitable vehicle, gas, or carts and wagons if you’re walking? Are you prepared and equipped to defend yourself while traveling to your destination? What resources can you bring to both share and sustain yourself and your family? Have you taken proper precautions to lock down the dwelling you are leaving? All circuits in circuit breaker box in off position. All windows and doors locked. Refrigerator and freezer empty and doors propped open. Furnace turned to off position. All water pipes drained as much as possible. The fact of the matter is that eventually, you are going to return to your home, and you want to make sure it doesn’t sustain any damage when the power comes back on and you’re some distance away. Even something as simple as a power surge when the electricity streams back into the grid can blowout a refrigerator or other appliances if the circuit breakers are not switched off. There’s a lot of information about surviving power outages on the Internet, but if you want more information from a trusted and credible resource, the following links are a good place to start. Power Outage Survival and Checklists from the Department of Homeland Security. Comprehensive Preparedness Guide from FEMA. Food and Water Safety During Power Outages FDA. Any power outage is an inconvenience. The key is to practice some common sense preparedness and decision making to avoid life-threatening situations and events. 1) buy a “water bob” this is a water balder that fits in to work tub and keeps the water potable. 2) if you are going to buy a gun and are NOT a shooter. Consider buying a 4″ .357 revolver this a size that is easy to use and it is a simple firearm – no safety or magazine to deal with. And buy a full box of 125 gr. hollow point ammo. Do not think that this is a cure-all if you have to defend your shelf DO NOT try to bluff. No warning shots or things like that. Shot center mass!